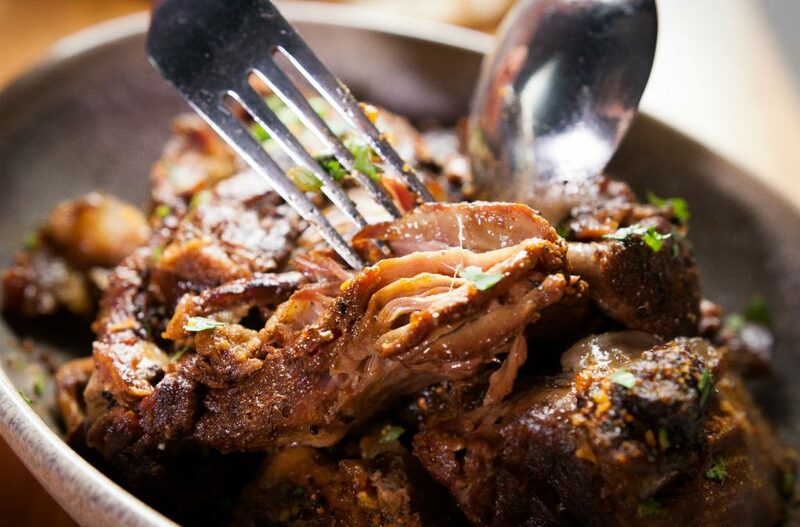 Beef brisket really is the gift that keeps on giving. It’s inexpensive, full of flavour, and low effort as far as making a mean meal goes. 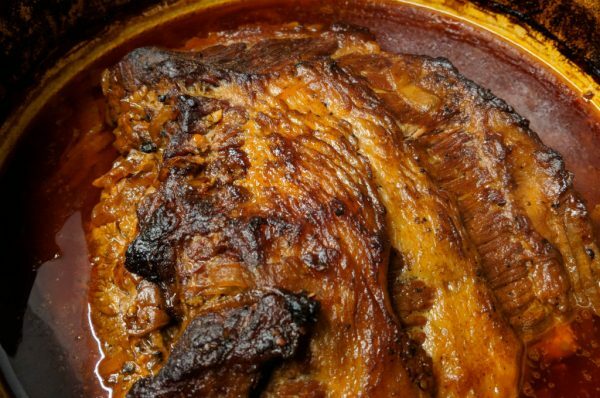 In this recipe, the brisket is slow cooked so the meat is tender enough to pull and can be eaten on crusty bread, in tacos or with slaw or vegetables. Tip: There’s a lot of variation in the quality of barbecue and Worcestershire sauces on the market. Track down some hearty sauces for the best result. We’ve used Beerenberg. Heat 1 tbsp olive oil in a large non-stick frying pan. Place the brisket on a chopping board and season with salt and pepper all over. In your heated frying pan, brown the brisket on all sides. This should only take a couple of minutes. Transfer to a large oven proof dish (ideally with a lid). In your frying pan, cook onions and garlic for a few minutes and then add to the brisket dish. Add the tomato purée, barbecue sauce, honey, Worcestershire sauce, stock and paprika to the brisket dish and bring to the boil. Transfer the beef to a clean chopping board and cover with foil to let the beef rest for at least 20 minutes. Return your beef to the dish (where the sauce remains) and use forks to pull the meat apart. It should pull quite easily. Serve with parsley and bread, tacos, slaw or vegetables.